Stephen Doerr received his Juris Doctorate from the University of New Mexico, School of Law in 1980. He is a member of the New Mexico State Bar, in good standing. Mr. Doerr is a past President of the New Mexico State Bar, and served as a member of the New Mexico Board of Bar Commissioners from 1993-2001. Mr. Doerr is the former Chairman of the New Mexico State Game Commission, having served in this capacity from 1998 to 2002. Mr. Doerr was appointed in 2003 by the New Mexico Supreme Court to serve and continues to serve on the New Mexico Code of Professional Conduct Committee which is responsible for recommending rules and revisions to rules regarding the professional conduct of attorneys in New Mexico. Mr. Doerr is a current member of the New Mexico Trial Lawyers Association, and a member of the American Association of Justice. 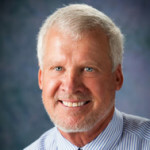 At the local level, Mr. Doerr has been on the Board of Directors of the Eastern New Mexico University Foundation and has served as President since 2002. Mr. Doerr is also active with the Portales Main Street Program in their efforts to revitalize the City of Portales Main Street and Downtown. In re Martinez, 22 B.R. 419, (Bankr. 1982). In Re Estate of Corwin, 106 N.M. 316, 742 P.2d 528, (Ct. App. 1987). Stone v. Turner, 106 N.M. 82, 738 P.2d 1327 (Ct. App. 1987). Stone v. Rhodes, 107 N.M. 96, 752 P.2d 1112, (Ct. App. 1988). Sparks v. Graves, 2006-NMCA-30, 139 N.M. 143, 130 P.3d 204, (Ct. App. 2006). Upton v. Clovis Mun. Sch. Dist., 2006-NMSC-40, 137 N.M. 779, 115 P.3d 795, (2006). State v. Moreland, 2008-NMSC-31, 141 N.M. 549,157 P.3d 728 (2008).